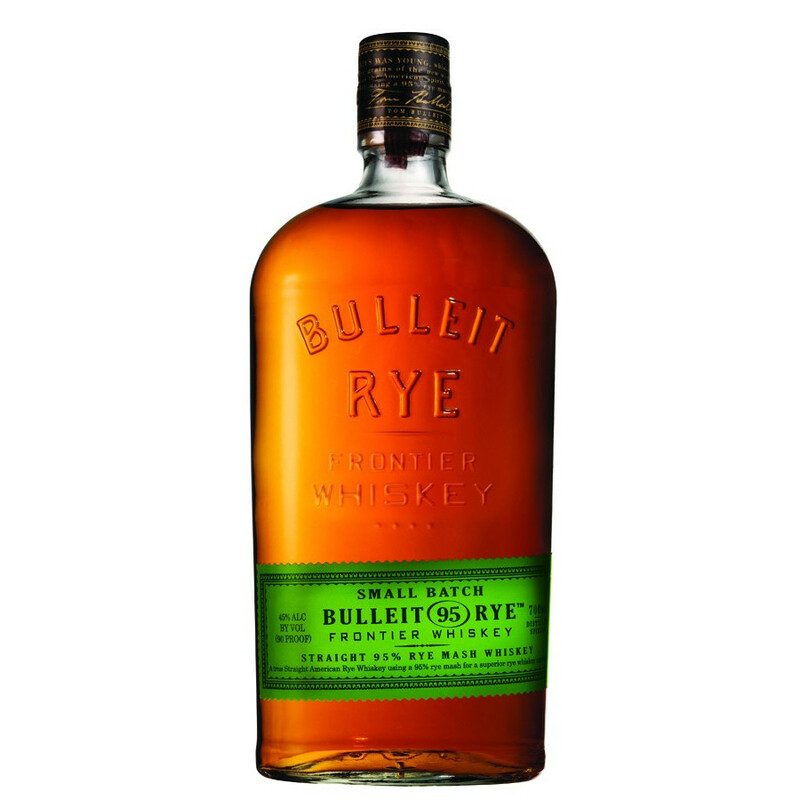 Mainly produced with rye, Bulleit Rye develops a complexity and fruity flavours that ranks it as the best "Rye Whiskey" of its category. Acclaimed as on of the world's best Rye whiskeys, as it has been produced with a mix containing more than 51% rye, Bulleit Rye has received many awards for its complexity and fruity flavour. Crafted according to a recipe that had been in the family for more than 5 generations, Thomas E. Bulleit presents the Bulleit Rye in 1987, a Straight whiskey marked by the rye character and the maturation in charred oak casks. Bulleit Rye reveals a drier and fruitier nose and palate than Bourbon. In 1987, Thomas E. Bulleit Jr launches the Bulleit Distilling Company in Lawrenceburg, Kentucky, achieving his lifelong dream. This is how Bulleit Bourbon was born, from a recipe passed over 5 generations: an original Bourbon whiskey with distinctive character. Following his forefather Augustus Bulleit’s research of perfect taste and unchallenged flavours, Thomas Bulleit drew inspiration from a family recipe that had been handed over 5 generations since 1830. Buckwheat imparts a strong character to Bulleit Bourbon, together with a smoky nose, a dry body with sparking notes of spices and pepper. Exceptional ingredients, quality water filtered through Kentucky limestone and charred American oak casks are the hallmark characteristics of a premium quality Bourbon that has been rewarded with many prizes. Nose: biscuity flavours, with spices (sage and allspice), white grapes and dried apricots. Palate: a soft first hit bolstered with sweet oak and maple flavours. Finish: smooth and lingering, with wood aromas and light flavours of caramel. An elegant and marked return of dried fruits notes.